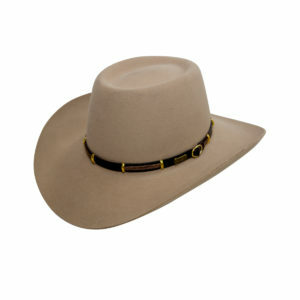 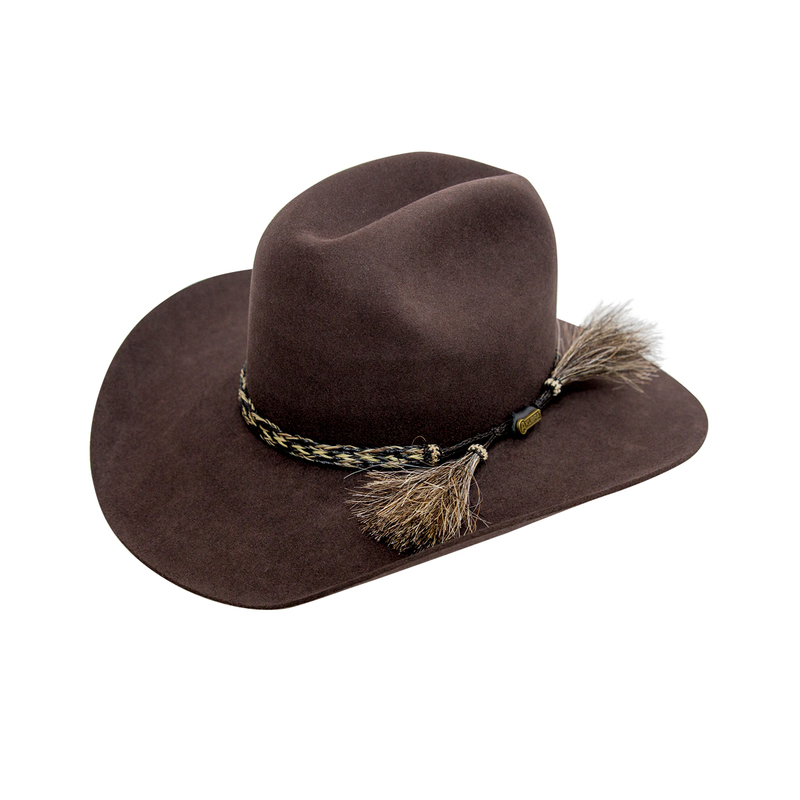 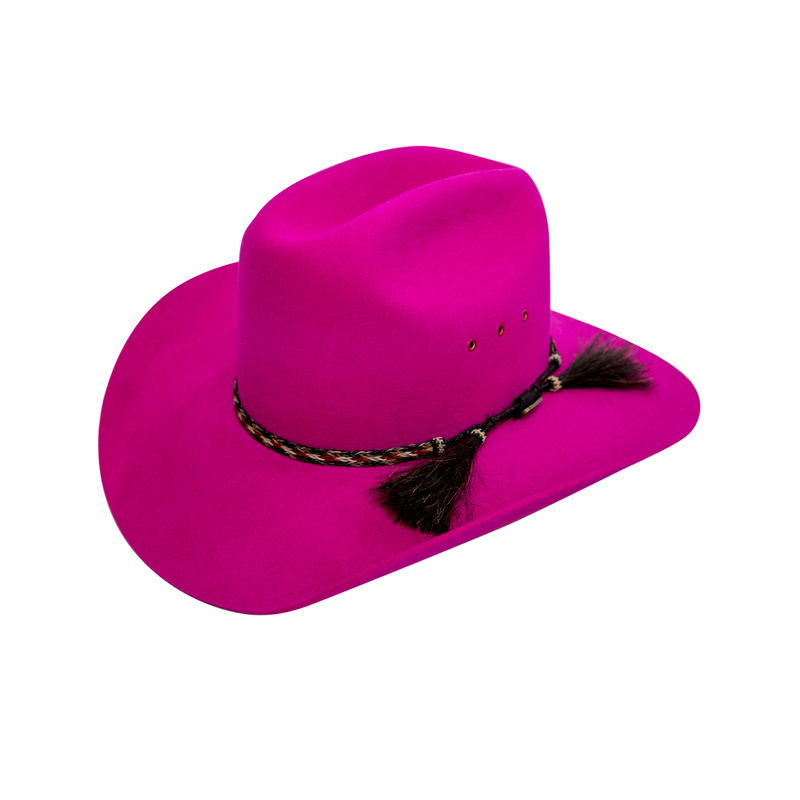 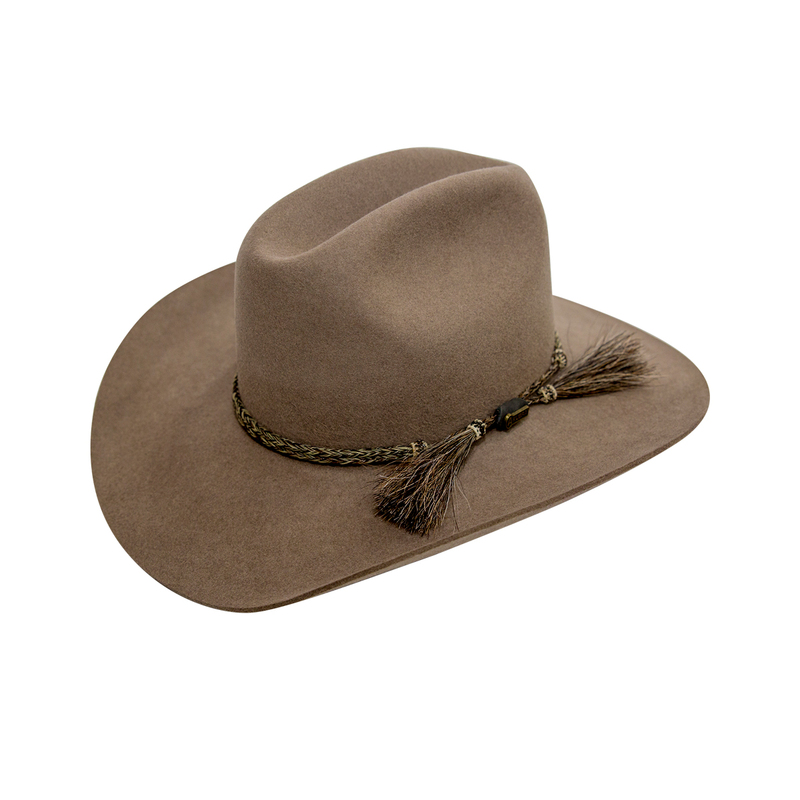 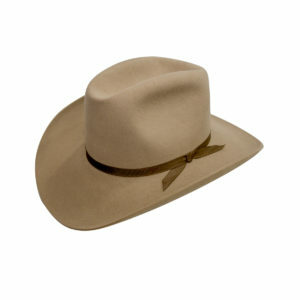 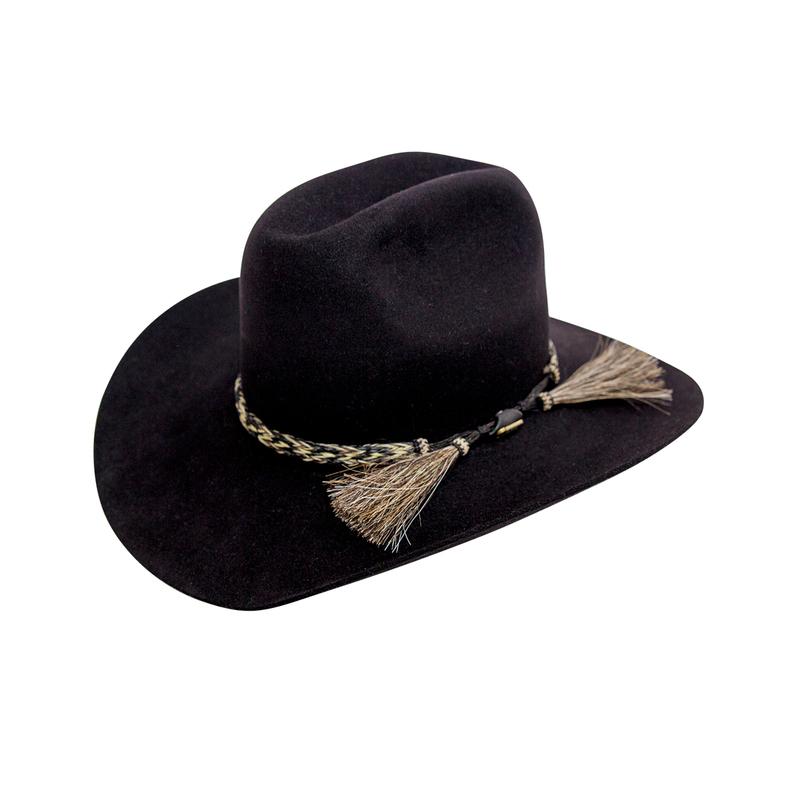 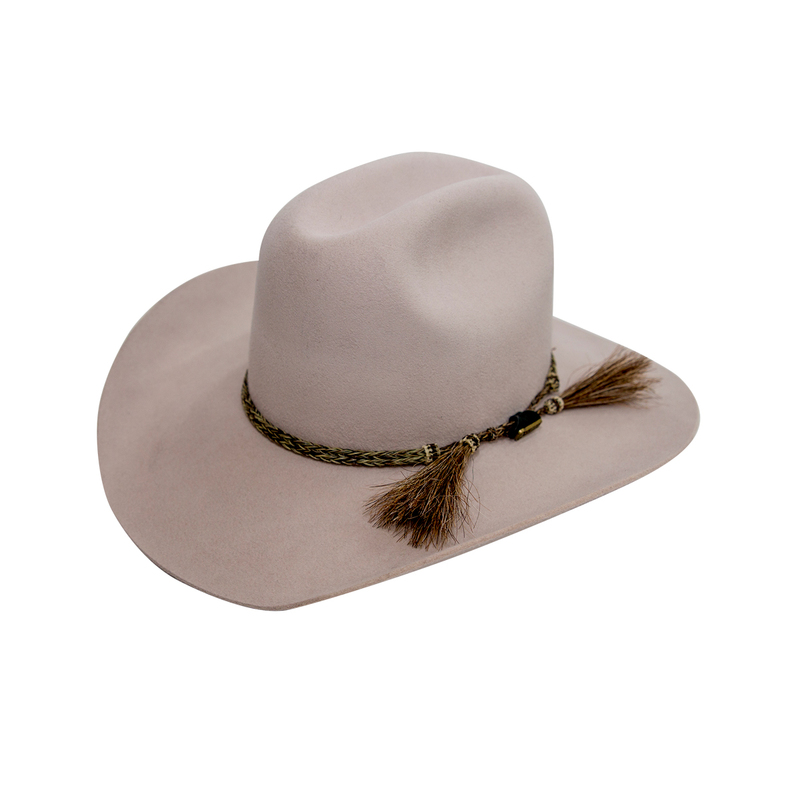 This western hat features a Pro Rodeo brim and centre-creased western crown. 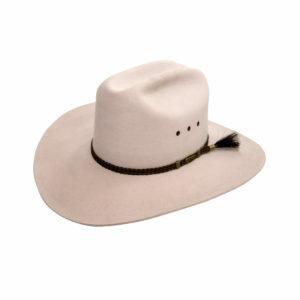 Features a fancy braided double horse hair tail band and satin lining. 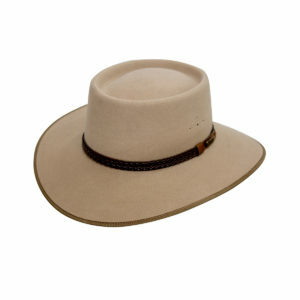 Colours: Light sand, black, loden, bran, magenta.